Description (From Goodreads): Be normal, invisible. Don’t get close to anyone. Kids with psychic abilities tend to mysteriously disappear when they get noticed. Joss has spent years trying to hide. Now she has an unasked-for best friend, who is the victim of an extortion plot by the school bully, who used to like Joss, who is best friends with her long-time crush, who is actually talking to her. Life just got more complicated. With Hush Money Susan Bischoff creates a fascinating world where some people are born with superpowers. These people, the ones with “talents” live in fear of being rounded up and taken away from their families. Joss, a quiet teenager is of these individuals. Joss does her best to go unnoticed. She and her family are afraid that she will be identified as a talent and therefore taken away. She doesn’t have any friends; she avoids contact with anyone and everyone. I have to say, I was really disappointed with Joss’s character. I did not particularly take to her; her personality simply did not rub we well. She didn’t have much of a backbone and she never stood up for herself. I really was put off when she stood by idly and watched something terrible happen to another girl. I understand that she did not want to draw attention to herself, but I cannot believe some of the decisions she made. I also did not like Joss’s love interest – Dylan. Dylan was also a huge pushover, he let his idiotic friend Marco walk all over him. I never was really able to connect with him because he did not get much time as the narrator. This made it difficult to see his motivations, or at least to sympathize with his decisions. 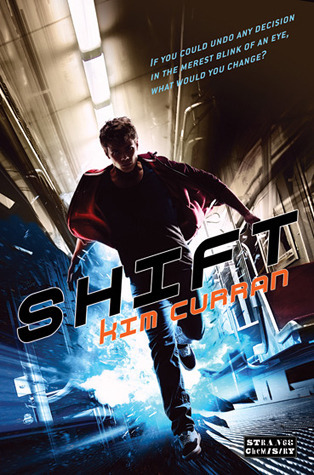 Now, I loved the premise for this book and it started out fabulous. The way that Bischoff introduces the talents immediately draws you in, making you want to see what happens next. The idea of it was reminiscent of the T.V. Heroes, especially with the way the organization was rounding people up. My favorite part of the book was when a group of teen “talents” band together and save one of their own. It’s a great action scene and I hope to see more of this kind of thing in the upcoming books. They have the whole “us against the world” thing going on and it gives them an easy bond. I do wish that the rest of characters (those others with talents) were a bit better described. We are given basic descriptions of their talents, but not much else. I was interested to know more about them all, but unfortunately it didn’t happen. I did enjoy the plot overall, but parts of it were a little unbelievable for me – especially concerning the book’s main villain, Marco. Marco was incredibly stereotypical, which made him into an extremely flat character. He was horrible all the time and never really gave much of a reason for being so terrible. I like when you can feel some sympathy for a villain, or at least understand their motivations, but that was not the case with Marco. Although I had a lot of issues with this book, I did enjoy it. It was a quick, entertaining read that kept me on my toes. I will probably continue with the next book, but I certainly hope some things change. For one, I hope that all of the characters are fleshed out better. 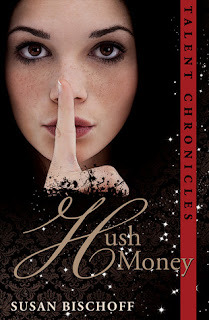 I did not connect to anyone in Hush Money, so hopefully that will change in the next book. I'm glad I read your review. I heard about this book at another blog but didn't really read the synopsis so I thought it was about something else xD I thought it was about money and or something. Anyway, thanks for your review. I see you didn't like the characters and that is usually bad for me...but it seems interesting enough to read it. Great review. This sounds like a really interesting plot line for a series. I agree though that it is hard to like a book though if you don't like the main characters.